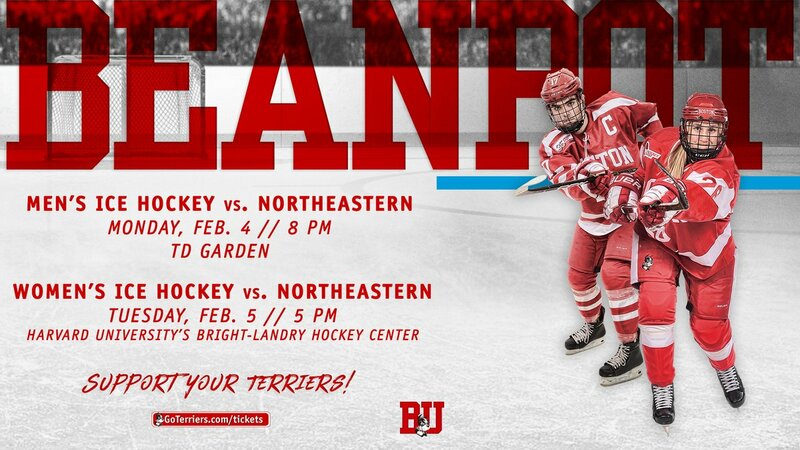 Terriers are back on the ice tonight for the 67th Beanpot Tournament, facing defending champion Northeastern in the second semifinal contest, scheduled to begin at 8 p.m. at TD Garden. BC and Harvard meet in the first semifinal at 5 p.m. Both games air live on NESN and TSN. BU, which has taken home the silver trophy 30 times, has dropped two close games to ranked opponents—Arizona State and Massachusetts—following a five-game unbeaten streak (4-0-1). The Huskies also come into the game with a string of losses, dropping four of the last five. Earlier this season, BU defeated NU 4-1 after the teams had tied, 5-5, the previous night. Northeastern’s offense is led by graduate transfer Brandon Hawkins with 22 points, freshman Tyler Madden with 20 and All-American defenseman Jeremy Davies with 20. Sophomore Zach Solow is the top goal scorer with 11, followed by junior Grant Jozefek with 10. Goalie Cayden Primeau has a 2.42 GAA and a .921 save percentage. For BU, freshman Joel Farabee has moved to the top of the scoring chart with 26 points. The Flyers’ first-round draft pick in 2018 has wielded a hot stick since returning from the World Junior Championships, generating five goals and seven assists in the past eight games. Junior Patrick Curry has been enjoying a breakout season and already has a career high 17 points with four goals in his last five games. Senior co-captain Bobo Carpenter, who sat out the UMass game, is questionable for tonight’s game as well. 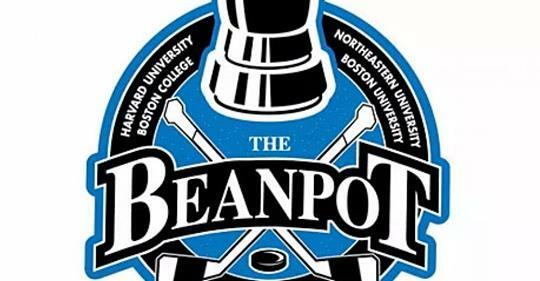 ► Beanpot Watch Parties are set for eight cities: Boston, Chicago, Portland, Philadelphia, Saratoga Springs, NY, Washington, D.C., Atlanta and San Diego. was a highlight-reel tally that was #5 in SportsCenter’s Top 10 for Saturday night. The wing from East Islip, NY, who has seen his draft ranking shoot up recently, has 32 points in 31 games. 2019 recruit Liam Gorman scored a goal and an assist while 2020 recruit Liam Connorsscored a goal and added two helpers as St. Sebastian’s blanked St. Paul’s 4-0. Connors leads the 15-4-0 Arrows with 21 points (7G,14A). Gorman has 18 points (9G, 9A). 2020 recruit Brian Carrabes is among the top scorers for the #3-ranked prep school Kimball Union with 27 points (10G, 17A) in 26 games. The junior forward is in his first year at KUA after a standout season (21G, 13A) at St. John’s Prep.